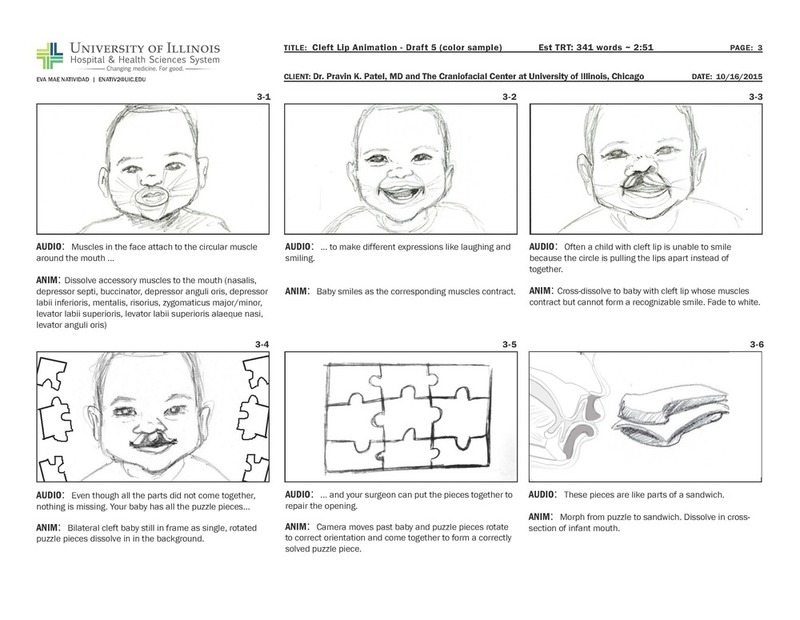 This project explores how to create a multiculturally inclusive animation for craniofacial patients and families about cleft lip repair. The UIC Craniofacial Center (CFC) sees a diverse patient population, and as populations become more culturally diverse, cultural competence in biocommunication will be necessary to effectively address diverse audiences and positively affect healthcare outcomes. One of the teaching strategies at the CFC that transcends multicultural populations is the use of analogies like the sandwich in the screenshot above. This project was completed for the degree of Master of Science in Biomedical Visualizations at the University of Illinois at Chicago, and was awarded the Vesalius Trust Scholarship for Visual Communication in Health Sciences. The creation of this project involved multiple 3D programs and digital imaging techniques. Click the button to view more of my research process. This research project was part of an animation suite created with three other graduate students. Click the button to view the other animations. and other staff members at the UIC Craniofacial Center who devoted their time to assisting us in our research. And the children and parents who inspired this research. Anonymized CT data was supplied from Shriner’s Hospital for Children as the base for the models. These were segmented in Materialise Mimics and brought into ZBrush for additional sculpting. The CT data provided a platform to ensure medical accuracy, appropriate size relationships, and relevant anatomical structures. The cross-section in the CT was overlaid on the model later to create the cross-section used in the animation. The models were exported from Mimics and imported into ZBrush. Due to the state of the model, I resculpted the ears and use the ZRemesher Guides brush to redirect the flow of polygons in a more natural direction. This new polygon flow allowed me be able to make more natural facial expressions and open and animate the eyes. The initial animation of facial expressions was completed using ZBrush layers. Layers enabled me to sculpt different states of my models and then blend between them. To import these animations into the final animation program, Autodesk 3ds Max, I had to export the models with their layers from ZBrush to Maya, and then from Maya to 3Ds Max. This workflow converted ZBrush layers into Maya Blend Shapes, and finally Max Modifiers. Once my models were in Max, I could begin composing scenes and lighting for key-frame animation. The models were imported into multiple scenes in Max where they were lit and animated to match the narration. The number of scenes was dependent on the scenes laid out in the initial storyboard. Each of the scenes were composited and stitched together with music and narration in After Effects. In After Effects, any 2D components were added and the animation was finalized and rendered. 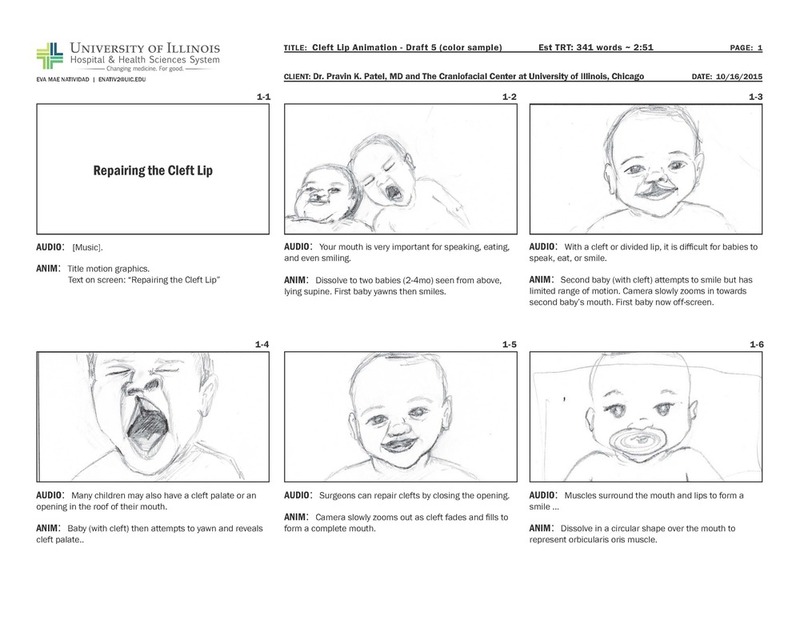 The final animation exists on the UIC Craniofacial Center animation page with the four other animations. It is also included on an interactive platform where patients are able to view all animations at their own pace. 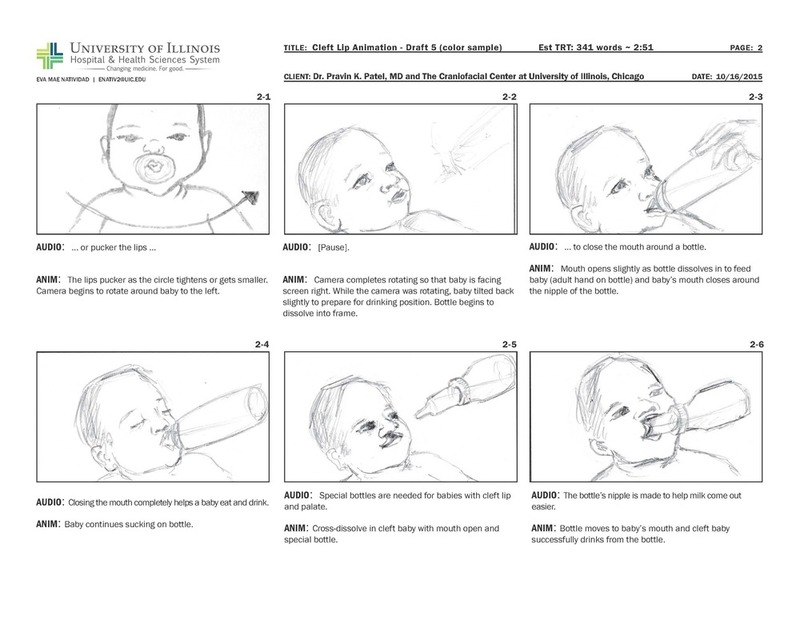 To fit the needs of our multicultural audience and 50% Spanish-speaking population, a second animation was created for the Cleft Lip Repair with Spanish narration. Scroll up to view both animations or simply click here.